People are drawn to Prescott for its small town atmosphere as much as its natural beauty. Known as Everybody’s Hometown, Prescott is an easygoing community of about 40,000 in a region of around 100,000. Approximately 700 buildings and objects are listed in the National Register of Historic Places. Just 90 miles north of Phoenix, this combination of culture and climate create an irresistible attraction for people to live and visit. Just northeast of Prescott is the majestic town of Sedona and the historical mining community of Jerome. Prescott Municipal Airport offers two flights daily to Los Angeles and Denver. So a quick journey to charming Prescott is just an easy flight away. Prescott is full of old west history. Home of “Whiskey Row” where early legends such as Doc Holiday and Wyatt Earp spent much of their time. Home of the Yavapai Native American tribe. 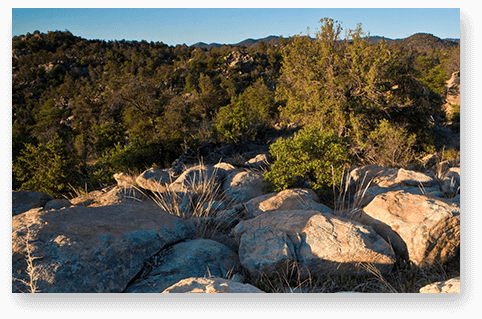 Much of the Yavapai history lies in the hills of Prescott. Located right here in the Enchanted Canyon development are some of the most treasured petroglyphs and American Indian remains. Early entrepreneurs were everywhere in Prescott from the late 1800’s to the present. They developed many mercantile companies, railroads, hotels and other businesses that were some of the largest in the country. Prescott is now named one of the top 3 cities to start a new business. Prescott (/ˈprɛskət/ PRES-kət; Yavapai: ʼWi:kwatha Ksikʼita) is a city in Yavapai County, Arizona, United States. According to the 2010 Census, the population of the city is 39,843. The city is the county seat of Yavapai County. In 1864 Prescott was designated as the capital of the Arizona Territory, replacing the temporary capital at Fort Whipple. The Territorial Capital was moved to Tucson in 1867. Prescott again became the Territorial Capital in 1877, until Phoenix became the capital in 1889. The towns of Prescott Valley, 7 miles (11 km) east; Chino Valley, 16 miles (26 km) north; Dewey-Humboldt, 13 miles (21 km) east, and Prescott, together comprise what is locally known as the “Quad-City” area. This also sometimes refers to central Yavapai County in general, which would include the towns of: Mayer, Paulden, Wilhoit, and Williamson Valley. Combined with these smaller communities the area had a population of 103,260 as of 2007. Prescott is the center of the Prescott Metropolitan Area, defined by the U.S. Census Bureau as all of Yavapai County. Arizona Territorial Governor John Noble Goodwin selected the original site of Prescott following his first tour of the new territory. Goodwin replaced Governor John A. Gurley, appointed by Abraham Lincoln, but died before taking office. Downtown streets in Prescott are named in honor of each of them. Goodwin selected a site 20 miles (32 km) south of the temporary capital on the east side of Granite Creek near a number of mining camps. The territorial capital was later moved to the new site along with Fort Whipple, with the new town named in honor of historian William H. Prescott during a public meeting on May 30, 1864. Robert W. Groom surveyed the new community, and an initial auction sold 73 lots on June 4, 1864. By July 4, 1864, a total of 232 lots had been sold within the new community. Prescott was officially incorporated in 1881. Prescott served as capital of Arizona Territory until November 1, 1867, when the capital was moved to Tucson by act of the 4th Arizona Territorial Legislature. 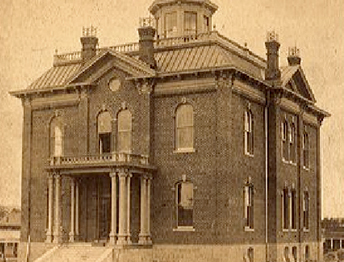 The capital was returned to Prescott in 1877 by the 9th Arizona Territorial Legislature. The capital was finally moved to Phoenix on February 4, 1889, by the 15th Arizona Territorial Legislature. The Sharlot Hall Museum houses much of Prescott’s territorial history, and the Smoki and Phippen museums also maintain local collections. Whiskey Row in downtown Prescott boasts many historic buildings, including The Palace, Arizona’s oldest restaurant and bar is still the oldest frontier saloon in Arizona. Many other buildings that have been converted to boutiques, art galleries, bookstores, and restaurants. 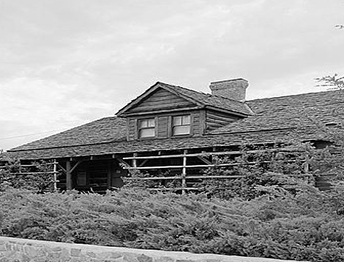 Prescott is home to the Arizona Pioneers’ Home and Hospital for Disabled Miners. 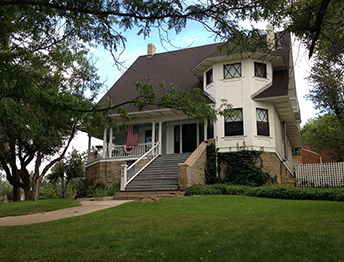 The Home opened during territorial days, February 1, 1911. The city was named after author William H. Prescott, whose writings were popular during the Civil War. Prescott also has a place in western folklore with the fact that Virgil Earp, Wyatt Earp’s older brother, lived in Prescott in 1879 and told him of the boom town in Tombstone, Arizona. It is also rumored that Doc Holliday spent some time in Prescott just before heading to Tombstone. Nineteen members of the Granite Mountain Hotshots, part of the Prescott Fire Department, lost their lives Sunday, June 30, 2013 while battling the Yarnell Hill fire that ignited two days earlier south of Prescott. Enchanted Canyon’s breathtaking lots are truly carved by nature. Surrounded by stunning views, natural boulders, hiking trails, and evergreen trees, neighbors are gathering and beginning a brand new lifestyle. Find yourself here, and become Enchanted.